Frontier, Brunswick with Special guest Olympian Luger, and youth advocate, Julia Clukey! The Big Awards Party is a celebration of the community that sustains our one-to-one youth mentoring programs AND one of our BIGGEST fundraisers of the year for our organization! All are welcomed to join us for delicious appetizers and cash bar from 6:00 - 8:00pm at Frontier, 14 Maine Street Brunswick. We will honor the businesses, people, volunteers, and community partners that are generously supporting youth in our community. Come celebrate, visit with friends and learn more about Big Brothers Big Sisters! Tickets are $50 per person to attend this important fundraiser that supports at-risk youth! Tickets PLUS Raffle $70 per person, includes 5 Raffle Tickets for our Special Raffle Offer. 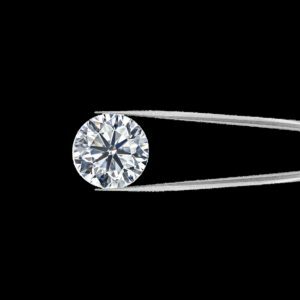 Enter for your chance to win a .55ct Round Brilliant Cut Diamond courtesy of Keith Field Goldsmith! Tickets are $20 for 5 and may be purchased at the event or in advance. Winner will be drawn at Big Awards Party and must be present to win. Congratulations to this year's event honorees! All funds from the Big Awards Party will help empower our youth to achieve their greatest potential! Thank you for your support! Tickets PLUS Raffle $70 per person, includes 5 Raffle Tickets for our Special Diamond Raffle Offer. Become a "Host Sponsor" at the $500 level and receive two event tickets. Thank you for supporting Big Brothers Big Sisters of Bath/Brunswick! A gracious thank you to Board Member, Mechelle Given and The Babbin family for joining as our "Event Host" sponsors. We hope you will match their generous gifts! For every $1,000 donated we can match one more child with a Big Brother or Big Sister for a year.